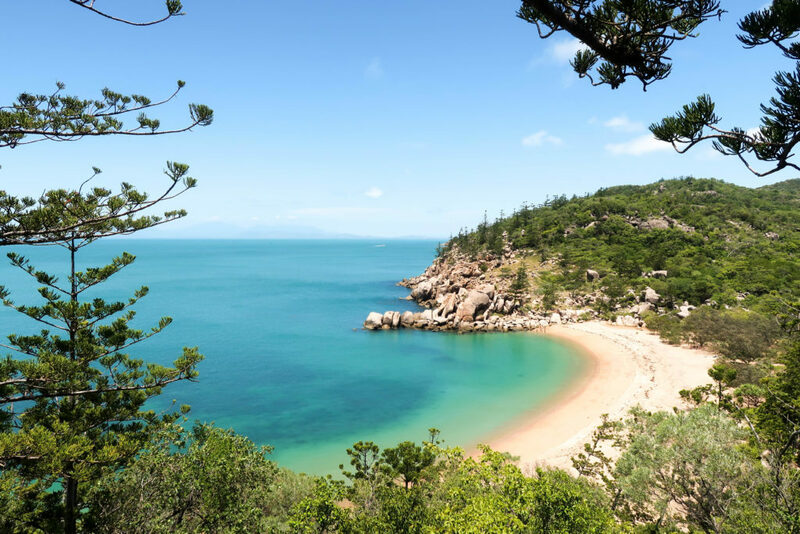 If you’re road tripping down Australia’s East Coast, then your itinerary probably includes Magnetic Island, a lush, sleepy gem of an island just off the coast of Townsville. Two Days on Magnetic Island is just the right amount of time to hit the beach, go for a hike, see some koalas, and snorkel. 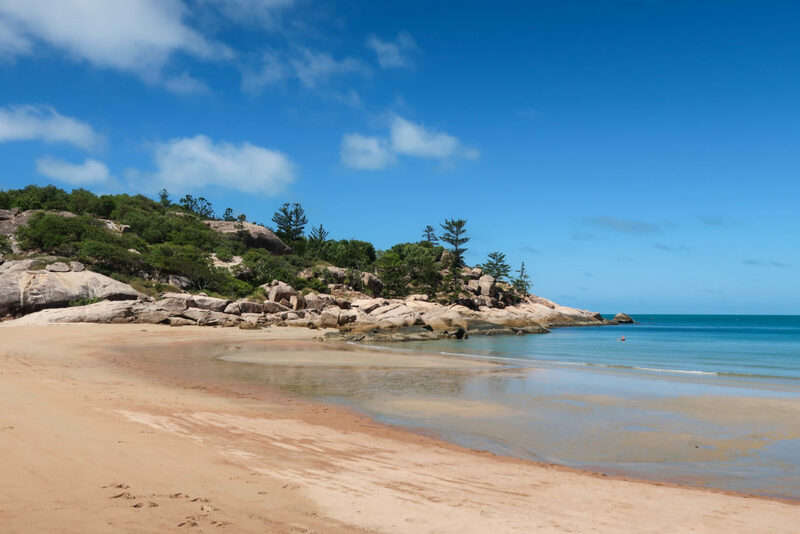 This guide to two days on Magnetic Island includes everything you need to know for a successful trip, including how to get to/from the island, what to do, and where to stay! So without further ado, here’s our guide to two days on Magnetic Island, Australia! Getting to/from Maggie Island from Townsville literally couldn’t be easier. 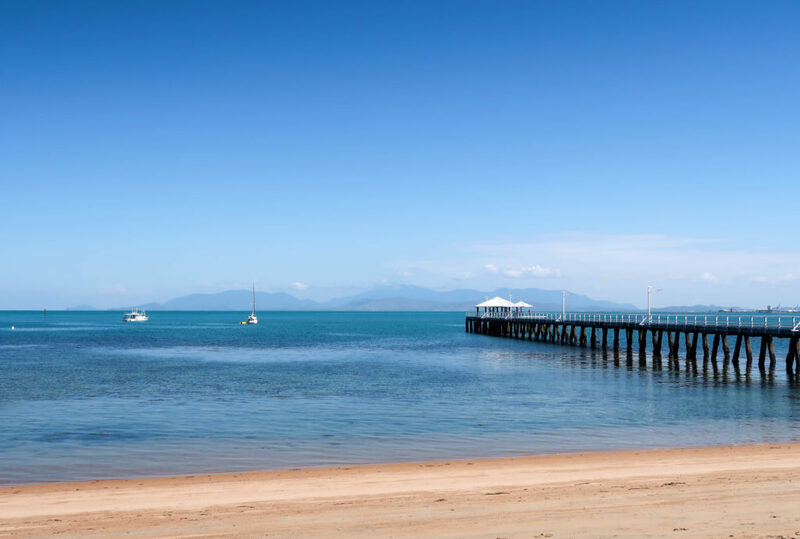 All you have to do is arrive at the ferry terminal in Townsville, purchase a roundtrip ticket from Sealink for $33, and hop on! The ferry trip to Magnetic Island takes around 20 minutes, and then you’re ready to adventure. If possible, we recommend taking either the 9:30 or 10:30 am ferry to maximize your time on the island. Click here for more information on ferry ticket costs, and here for ferry timetables. Magnetic Island is pretty small and undeveloped, so there aren’t loads of accommodation options to choose from. We decided to book a private room at the Arcadia Beach Guest House, which is located in Nelly Bay. Conveniently, this accommodation is right across the street from the beach, and just a few bus stops away from the ferry terminal. The rooms at the Arcadia Beach Guest House are clean but basic, and have air conditioning (which is so necessary during the Australian summer). Overall, I would recommend staying at the Arcadia Beach Guest House, though the Island Leisure Resort and the Magnetic Island Bed and Breakfast are also popular choices. You can find other great deals on Maggie Island accommodations by clicking here! 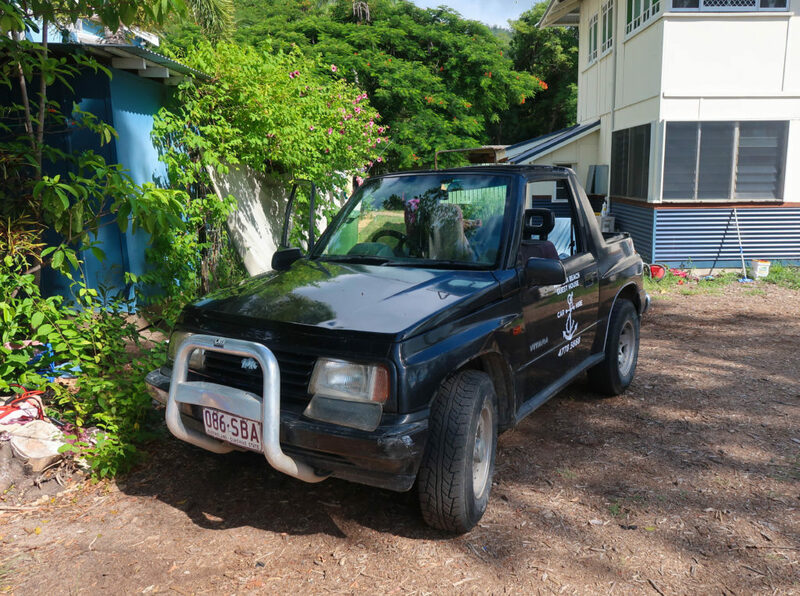 When it comes to getting around Magnetic Island, you really only have two options: hire a car or take the bus. If you’re not keen to pay for a rental car, then the bus is a great option for you. The bus runs frequently, stops at all of the island’s main areas, and costs only $7.20 per day. For more information on the bus fares and timetables, click here. At around 5 pm, when it’s not too hot, head for the forts! The Forts Walk is an easy but beautiful hike which offers jaw-dropping views of the island’s many bays. 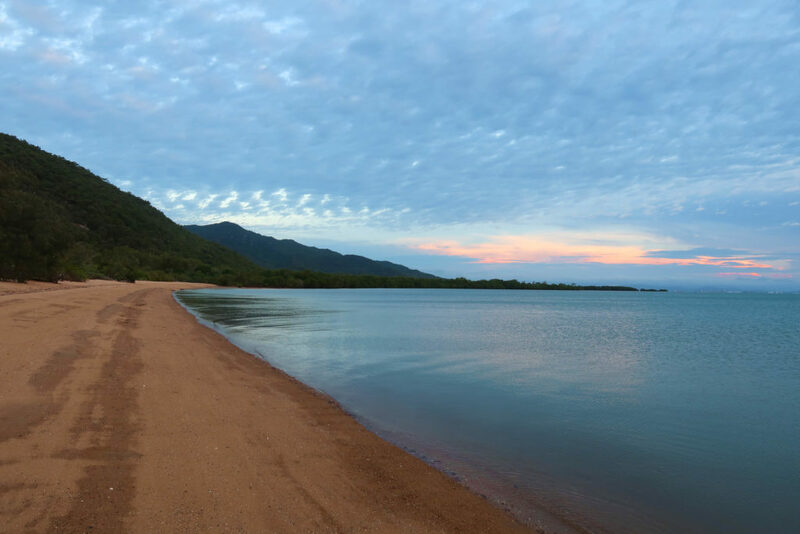 This 1.5 hour walk is also a journey through Magnetic Island’s history and involvement in World War II; as you hike, you will come across different structures and sites which the Australian forces built to prepare for a Japanese invasion. Maggie Island is home to roughly 800 wild koalas, and if you’re lucky, you’ll see a few of them during your walk at the Forts. As you hike, look up into the trees for the little cuties. But also pay attention to the ground, as other hikers will often lay out an arrow with sticks and rocks, pointing to the place they spotted a koala. And since koalas don’t move around very much, you can bet that they’ll still be there! 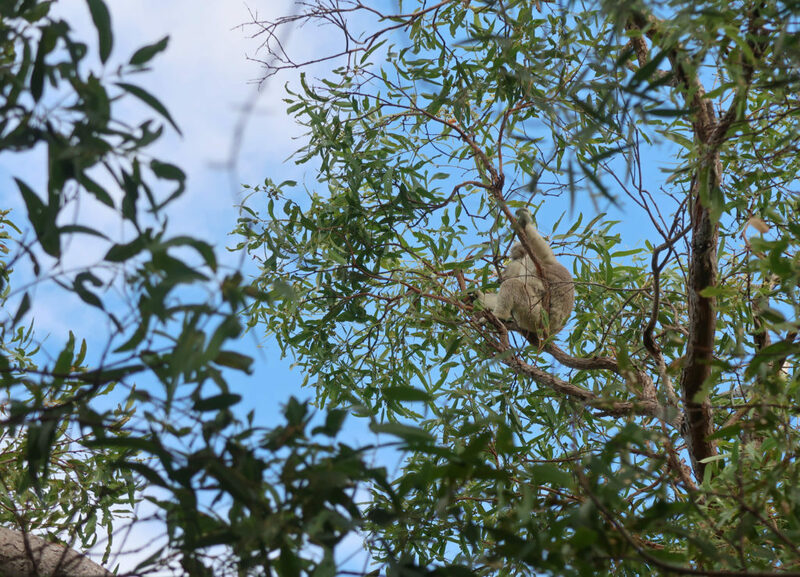 During our walk, we saw two koalas high in the treetops, lazily chomping on eucalyptus leaves. Magnetic Island offers 23 beautiful bays for swimming, snorkeling, fishing, boating, and more. Some of these bays are only accessible by boat, while others require drives down awful dirt roads — we got our car stuck in a giant pothole and it took us about 20 minutes and the help of two other people to get out! While you’re on the island, go from bay to bay until you find your favorite — ours was definitely the magnificent Arthur Bay. If you want to kayak or jet ski, hang out at a café, or grab a gelato, then head to Horseshoe Bay. If you want to lay under a shady tree, then Alma Bay is the place. If you feel like snorkeling, then Arthur Bay and Geoffrey Bay are your best bets. Just explore, and see what you find! If you want to see Maggie Island’s rock wallabies hopping around, then head to Geoffrey Bay. At around 5 pm, when the day starts to cool off, all of the rock wallabies will come out of hiding, in search of food. If you want to feed them, then come prepared with fruits and veggies! Carrots, celery, and sweet potatoes are best for their diets. If you want to hold a koala — and see other animals like pythons, freshwater and saltwater crocodiles, and lizards — then head over to the Bungalow Bay Koala Village for their 2:30 pm presentation. Tickets are $29, and you can find more information here. Then, after the presentation, at 4 pm, there’s a free lorikeet feeding experience. Right on time, these colorful birds will flock to the crowd, expecting a big meal. The birds will land on your arms, head, face, etc. to steal as much food as they can, just watch out for their sharp claws! If you want to catch the best sunset Maggie can offer, then West Point is the place to be! Down a very long, pothole-filled dirt road, you’ll find a secluded beach that’s perfect for a sunset picnic/chill sesh. The only caveat is that you need a car to get here. It’s much too far to walk, and buses don’t service this area of the island. Ask the locals, and they’ll tell you that Thai Again is the place to grab a bite on the island. And trust me, we were just as surprised as you might be to find out that there’s actually (decently good) Thai food on this tiny island. 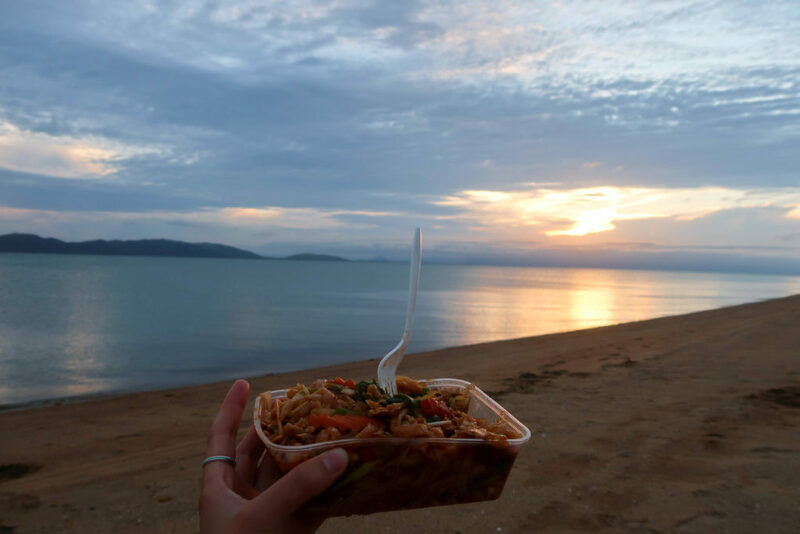 We decided to take our pad thai up to West Point for sunset, and it was the perfect meal! 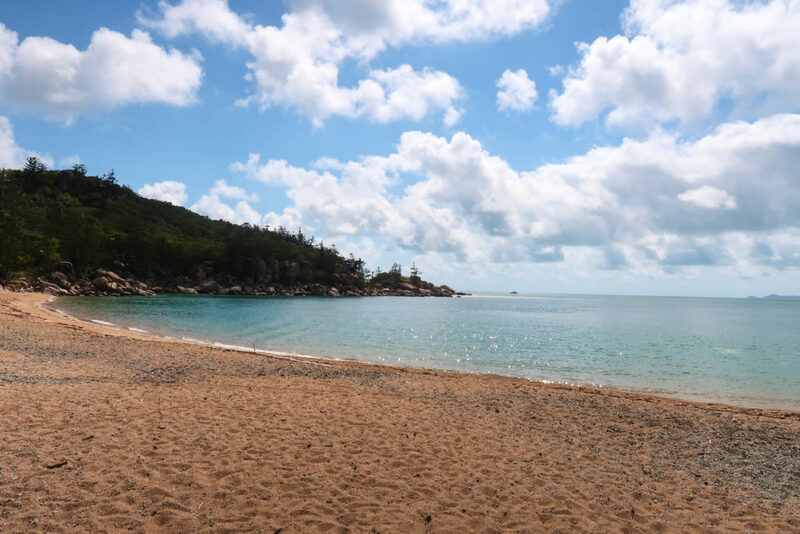 Your two days on Magnetic Island will consist of lots of beautiful bays, wildlife sightings, snorkeling, hiking, and straight chilling. Since Maggie Island is so small, there isn’t a lot to do or see, but that’s also why it’s awesome. Two days spent outside, enjoying nature and relaxing, is exactly what you need before you continue on your road trip up (or down) Australia’s east coast.